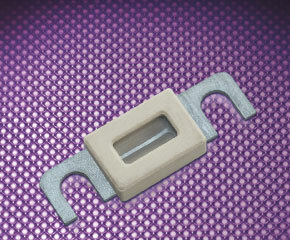 Protection against overloads and circuit short in electric lines. Rated voltage up to DC48V or 50Hz AC125V; rated current up to 800A. 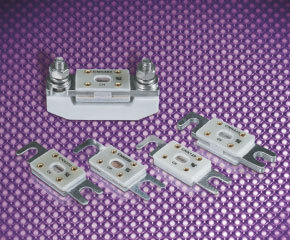 This series of vehicle fuses are made up with two parts; fuse links and fuse bases. 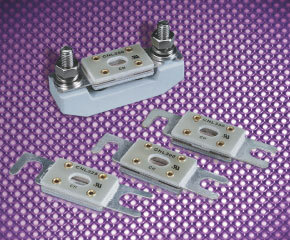 According to different applications, the fuse links can be divided into normal type (CNL, RQ1 table 1) and fast type (CNN table 2), both bolting connected. 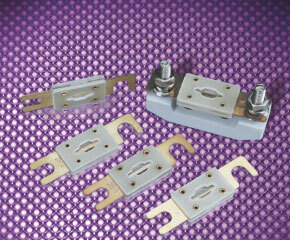 The fuse links can be connected directly to the bus-bar, saving a fuse base; it can also be fastened to an installed fuse base (RQD-1 table 4) for convenient fuse exchange.